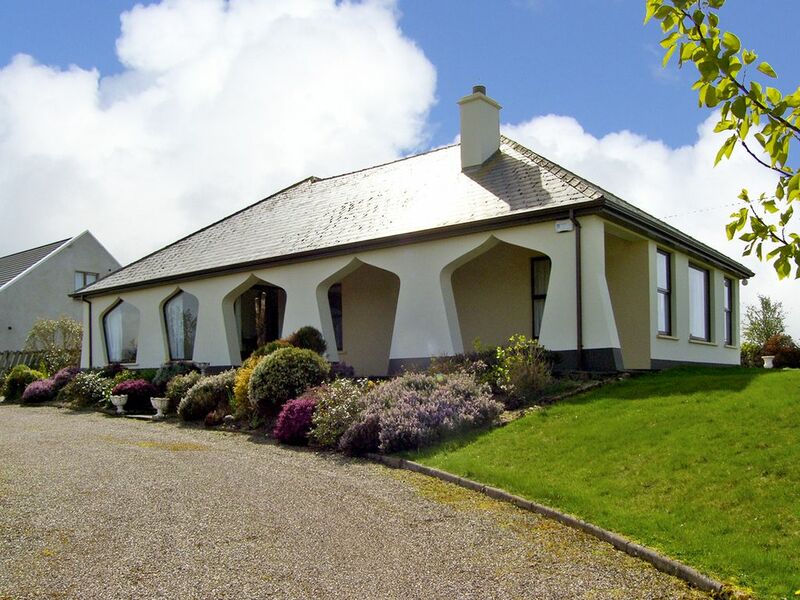 This tranquil spacious holiday home is located just 2 miles from the coastal village of Mullaghmore, 20 miles from Sligo town and just a half mile from Mullaghmore beach with fabulous views of countryside, mountains and sea. Offering free WiFi internet access, with large windows, open stone fireplace and tasteful decor all serving to make the house cosy and welcoming. Outside there is a beautiful landscaped garden with patio and BBQ provided - perfect for dining alfresco. Bundoran 3 miles away, offers many fine restaurants and great pubs and the beaches along this part of the coast are superb - from quiet sandy beaches to great surf breaks.Shop. Pub. Restaurant 2 miles. Beach 880 yards. GF: lounge/diner, kitchen, 2 doubles 1 with ensuite shower room, twin, single, bathroom with separate shower.Electricity and oil central heating included, linen and towels included, No Smoking, cot, high chair, TV, radio, fridge/freezer, microwave, dishwasher, w/machine, internet access, hairdryer, welcome pack, fully enclosed garden, garden furniture, bbq, private off road parking. Pets welcome. Very isolated area, need to drive everywhere. Not very toddler friendly. Perfect house, great location with stunning views.